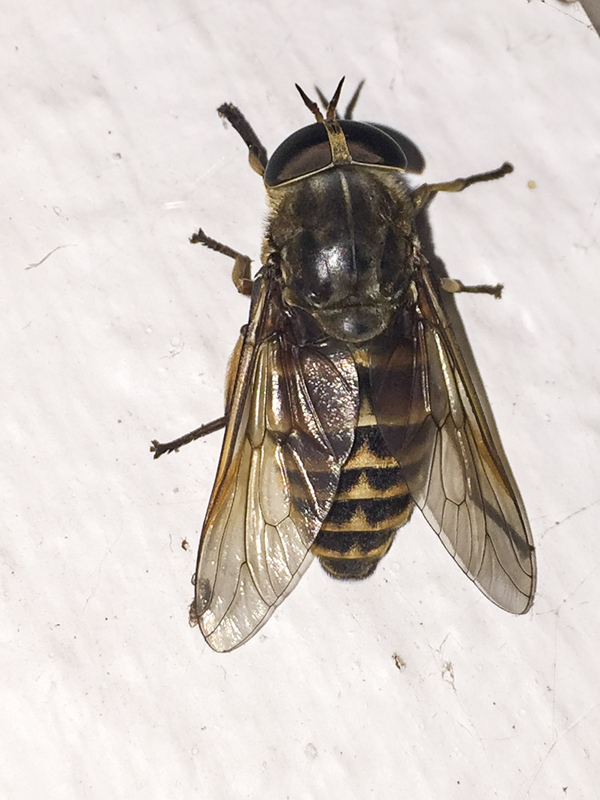 Last night I found a Dark Giant Horsefly (Tabanus sudeticus) on the wall of the Devon and Exeter Squash Club. 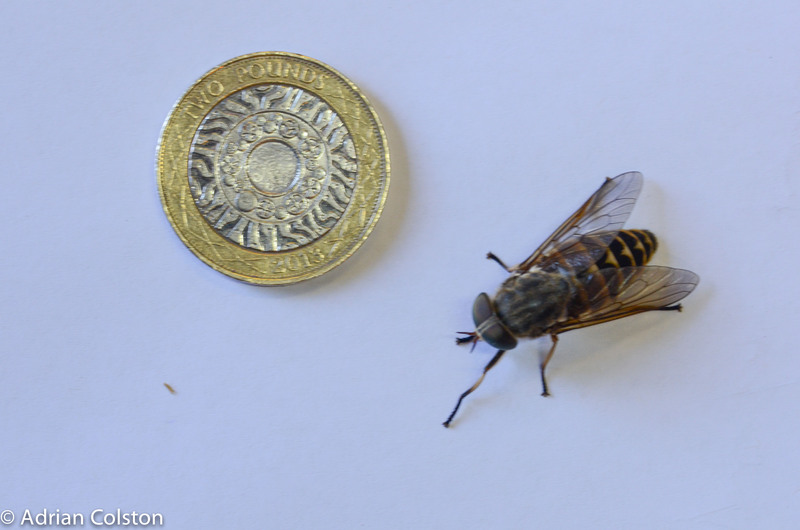 This is the largest horsefly in Britain and they don’t get any bigger anywhere else in the world including the tropics. The body is 24mm long – the orange base to the antennae and dark markings on the abdomen are diagnostic. This is a female – they have gaps between their eyes. In the males their eyes touch. I’m not sure what it was doing at the Squash Club, I’ve normally seen this species in wild remote places like the Highlands, the Lake District and Dartmoor. I wonder whether it had been affected by yesterday’s heavy rain and took shelter before setting off again in search of cattle and horses. 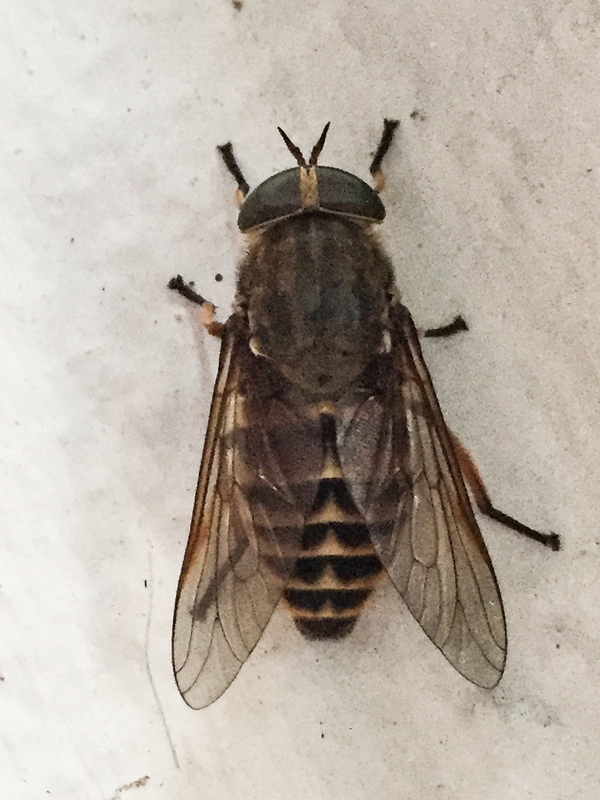 This is the same individual showing its mouthparts – it is only the females that bite – little reassurance though as this is a female! 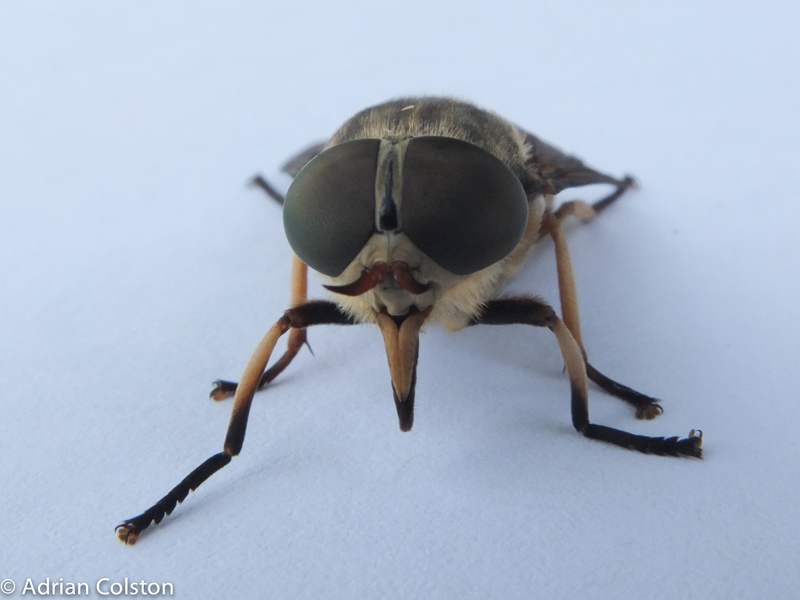 This entry was posted in Dartmoor wildlife, Devon and tagged Dark giant horsefly, Tabanus sudeticus. Bookmark the permalink. I saw one of these in Kingsteignton around the same date. Flew into the house sounding like a helicopter!! !